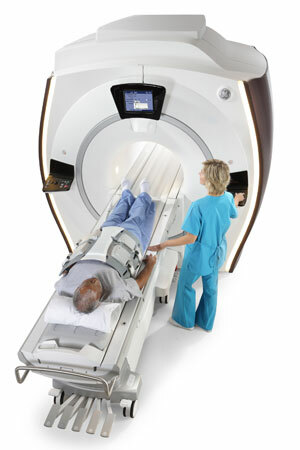 Magnetic resonance angiography (MRA) is a specialized MRI scan that is optimized to evaluate blood vessels. It is usually done to evaluate arteries for sites of blockage but can also be done to evaluate for blood clots or narrowing of the major veins in the body. MRA has been shown to be very accurate and avoids the potential risks of bleeding complications and radiation exposure inherent in conventional angiography. The other type of procedure that is currently being done for diagnostic angiography is computed tomography angiography (CTA). CTA does expose patients to radiation while MRA does not. Depending on the blood vessels that need to be imaged, MRA may require an injection of contrast material into an IV in the arm. Some exams such as MRA's of the brain don't require an injection of this contrast while other types of MRA's provide better pictures if dye is injected. The contrast material is very safe but should not be used in patients with severe kidney failure. Larchmont Medical Imaging has the capability to perform MRA of all body parts without the injection of gadolinium contrast in patients who have kidney failure. 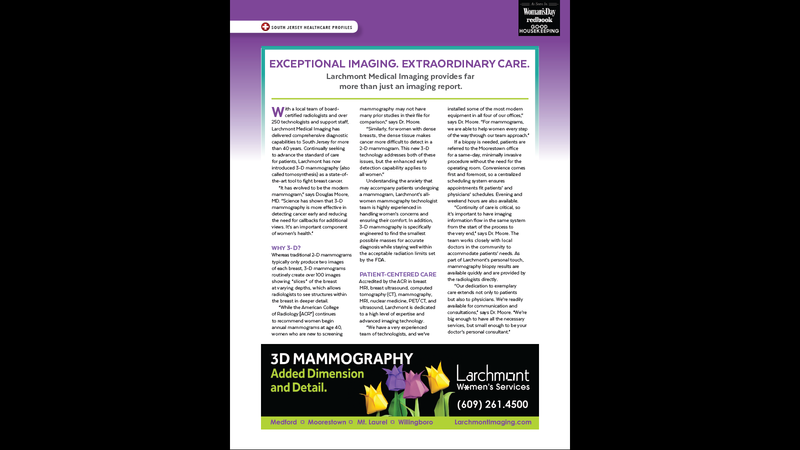 The ability to perform MRA of the abdomen without an injection distinguishes Larchmont Imaging Associates from most radiology practices. Most MRA exams do not require any preparation. If you are scheduled for an MRA of the abdomen, we will ask you to refrain from eating for several hours before the test. If the type of MRA that your doctor has ordered is best performed with an injection of contrast material, we may ask that blood work be done to check for severe kidney dysfunction. If your blood work is abnormal, Larchmont Medical Imaging can still perform high quality MRA without an injection of contrast. Similar to all MRI tests, we will ask you to complete a screening form to check for any metallic implants or pacemakers that may not be safe in an MRI scanner. It is best to wear clothing that has no metal snaps or zippers. If necessary, we may ask you to change into a gown so that the pictures aren't degraded by any metal in your clothing. Most of the MRA tests take about 30 minutes to complete. After the test, one of our board certified radiologists will review the images and send a report to your doctor.